88 years ago, as September 23 is a day of joy and pride in what our dear country has come to be. On this glorious day, everyone participates in cultural activities and various events from fireworks shows to heritage works, horse parades and grand celebrations held across the Kingdom. 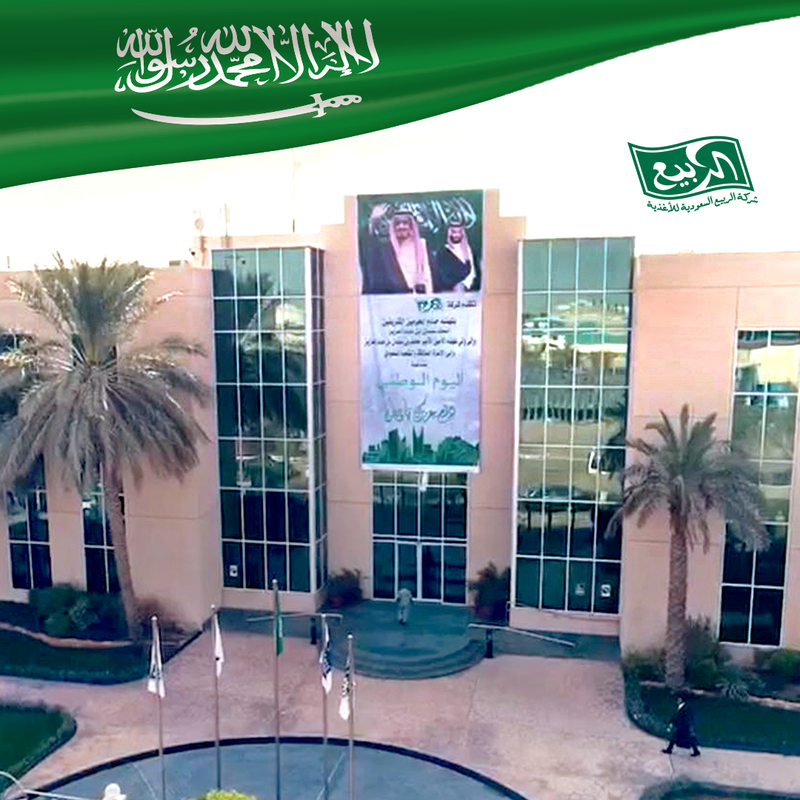 Everyone celebrates in their own way and the way we do it at Al Rabie is together like one family that’s part of one nation, where all directors and employees met at the company's headquarters in Riyadh, in a joyous atmosphere to celebrate the Saudi National Day, with everyone exchanging greetings on and congratulations on this happy occasion, wishing our dear Nation and rulers longevity, and health and prosperity.